Use this sack in a farmyard scene to add authenticity to your theme. We do comical animals and a larger sack to go with this. 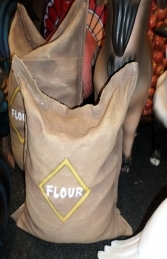 This model is fully 3D and made from fibre glass and resin, it is very robust and is a colourful prop to have placed around your farmyard/barnyard scene or play area. 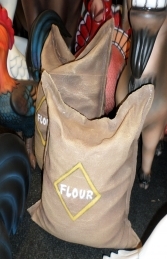 This impressive small sack would add interest to any area from a Children’s play area, adventure golf course, farmyard or barnyard scene.